Finally, my internet wanderings have been put to good use! Today I clicked onto M is for Moxie for the first time, and saw a post on there about rainboots. 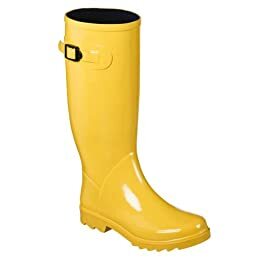 If you will recall, I have been looking to replace my rainboots for a long time. Well, I finally made a purchase. In 3-5 days, I will have these cuties in my closet. Not shockingly, Target’s affordability solved all of my footwear problems. I love the lines of these boots! They look like Hunters but for a fraction of the price. Hooray! hi kate! so glad you found me, and these lovelies too :) :) let me know how they fit!! thanks for stopping by… your blog is adorable! These are adorable! I want them in Pink!